On Wednesday, a California state net neutrality bill that would provide the toughest set of net neutrality protections in the nation was approved by a key legislative committee. SB 822 was approved 9-3 by the state Assembly’s Communications and Conveyance Committee, with all nine votes in favor of the bill coming from Democrats. Next week, the bill will advance to the Assembly floor for a final vote. The bill was passed by the state Senate in May. Then in June, it was gutted by the same committee that voted to pass it on Wednesday under pressure from broadband providers like AT&T. 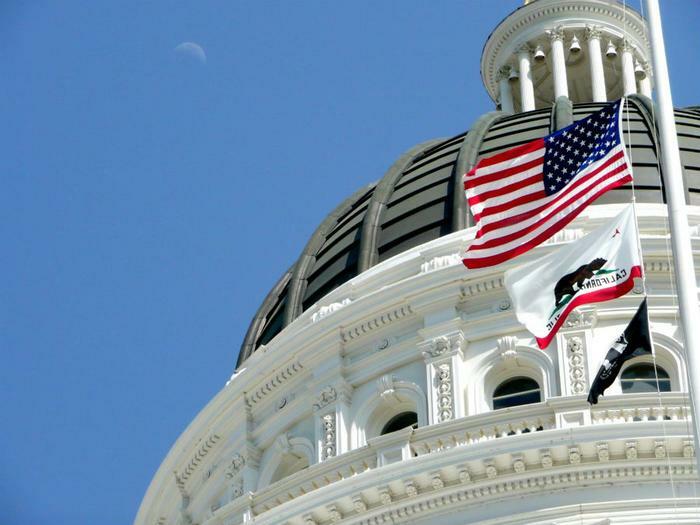 The bill’s author, Sen. Scott Wiener (D-San Francisco), ultimately reached an agreement with Communications Committee Chairman Miguel Santiago (D-Los Angeles) to restore the bill to its stronger form and bring it back for a vote. The bill was approved with “all key protections intact,” Wiener said in a statement. "Today's committee action sending SB 822 to the floor is a big step forward, but we continue to face a huge fight, as the big telecom and cable companies will stop at nothing to kill the bill," Wiener said. "Yet, we have momentum and the support of a broad and diverse coalition that understands the importance of a free and open internet for everyone. I look forward to working with our supporters and everyday Californians to get this vital piece of legislation to the governor's desk." SB 822 prohibits internet service providers (ISPs) from blocking or throttling lawful traffic. It also bars the practice of charging websites for access to an ISP’s subscribers or for fast lanes to those subscribers. Additionally, the bill prevents ISPs from getting around these protections at the point where data enters their networks and from charging access fees to reach ISP customers. The bill also prevents companies like AT&T (which is both an ISP and a content provider) from not counting the content and websites they own against subscribers’ data caps. Opponents of the bill include AT&T, Verizon, Comcast, chambers of commerce, and others. Its supporters include former FCC Chairman Tom Wheeler, California State Attorney General Xavier Becerra, advocacy groups, and others.